Apparently, time flies when you’re having fun. August 22 marked my 3 year anniversary at CrossFit Bridge City & it completely slipped by me. This might be, in part, to school starting, chaos ensuing and all hell breaking loose in general as we dive head first into yet another busy school year. 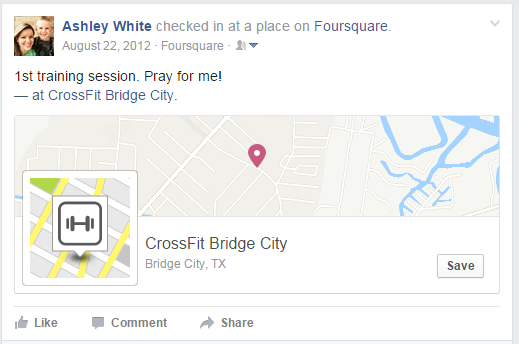 August 22, 2012 – my first social check-in for CrossFit! 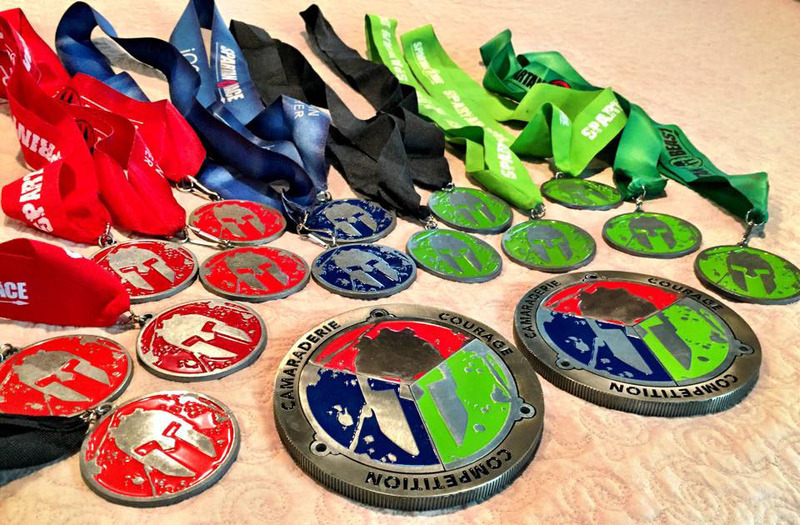 After 3 years, our Spartan Trifecta is complete. I’ve lifted a ton of heavy weight (pun intended), done 10,000 pull-ups and thought I might die on more than one occasion. I’ve had plenty of struggles and PRs (personal records) along the way. Like finally learning to do bar muscle-ups. That’s a moment I will never forget! I felt pure giddiness when I managed to get on top of the pull-up rig for the first time. (For real, I kicked & screamed with excitement like a little girl.) Ring muscle-ups are another story….but stay tuned, because I don’t give up easily. Before CrossFit, I was just getting started on my fitness journey – which I’ve come to realize is my journey to self discovery. I was weak, uneducated about the human body, nutrition and my abilities. I was full of self doubt. I had no idea what I was getting myself into or the person I would become. I didn’t know CrossFit would change my life. I know that sounds melodramatic, but that is exactly what happened. CrossFit changed my life because it changed my perspective. I hate failing. Funny thing is, failure is common in CrossFit. And I do it – a lot. I still don’t like it, but I’m learning it’s not a bad thing. Failure is one step closer to success. Failure gives you the opportunity to learn from your mistakes, to become better. Failure gives you the chance to refine your skills, to improve your technique. Failure encourages you to go back to the basics, to educate yourself further. It is in the process, where you ultimately find success. Ring muscle-up drills after failing them in the CrossFit Open. Because of CrossFit, I am a strong woman. I am a healthy body. I am a renewed soul. I am a changed perspective. I am a success. Because of CrossFit, I can accomplish anything if I’m willing to fail a few times first. But CrossFit wouldn’t be possible without my support system. Thank you to my husband, Ryan​, for always supporting me – especially on those days when I didn’t believe in myself. Thank you for not letting me wallow in self pity when things didn’t come easily. Thank you for pushing me to be more, in all areas of my life. Thank you for believing in me. You’re still the strongest man I know & I love that you’re mine. Thank you to my CFBC Rooster Crew who keep me accountable & make the journey fun. I couldn’t do it without your witty humor and unfailing support at 5:00 a.m. You girls still amaze me! Thank you to my coaches for having patience with me as I gripe my way through learning a new skill or conquering a fear. Thank you for continuing to provide me with opportunities to learn specialized skills – like Olympic lifting & gymnastics – from the best in the business. Thank you for yelling at me when I needed it.